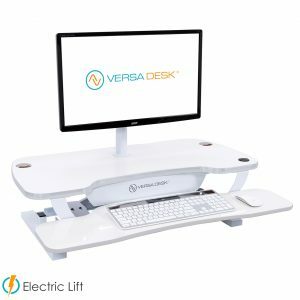 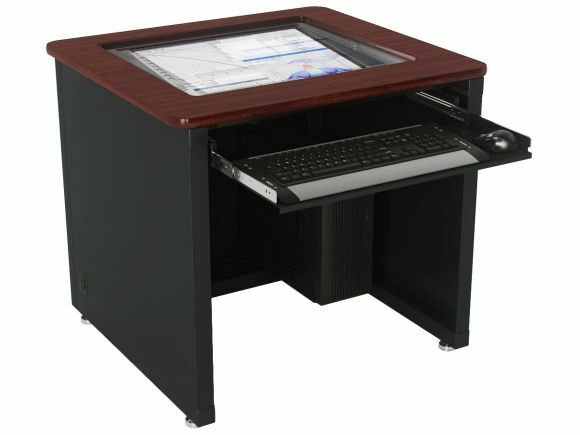 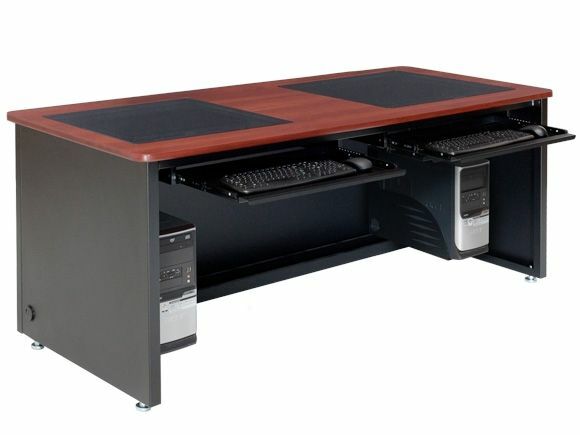 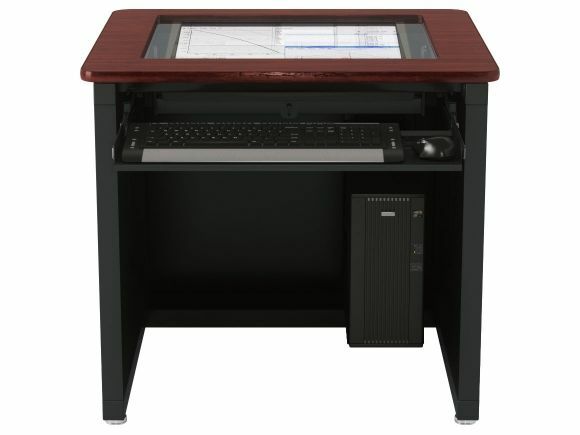 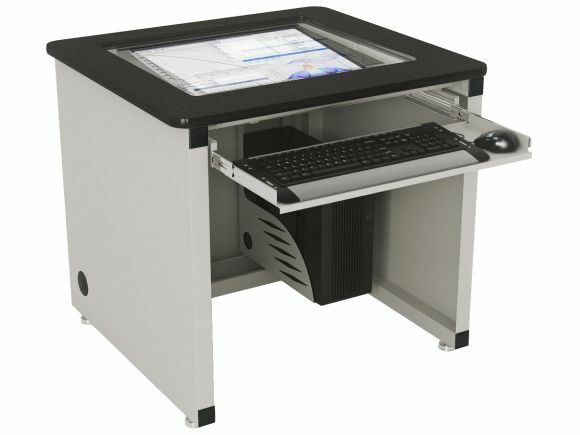 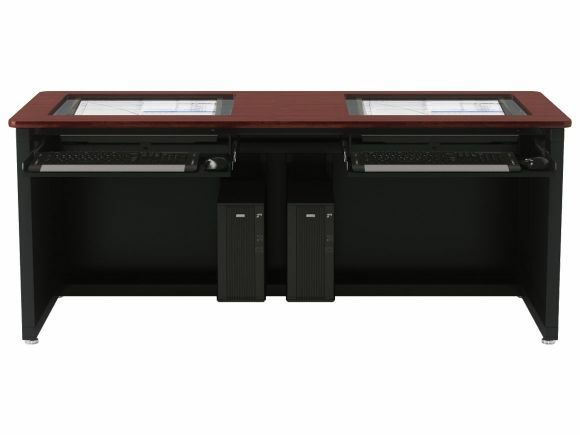 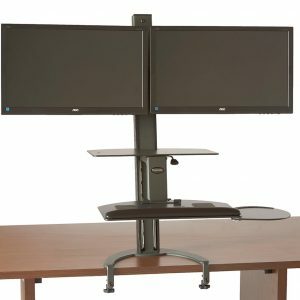 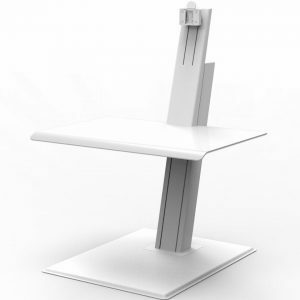 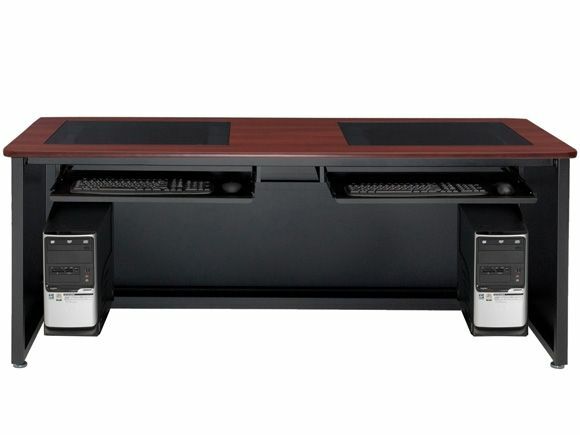 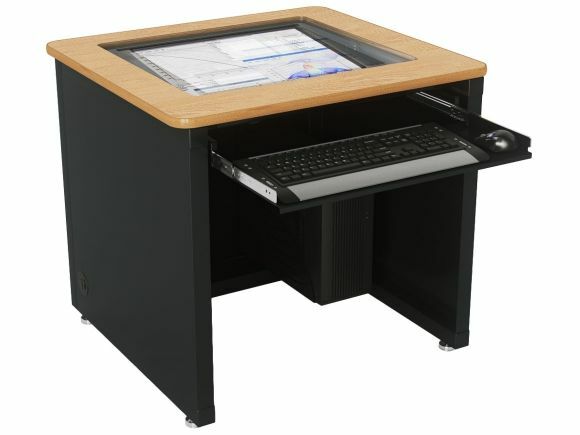 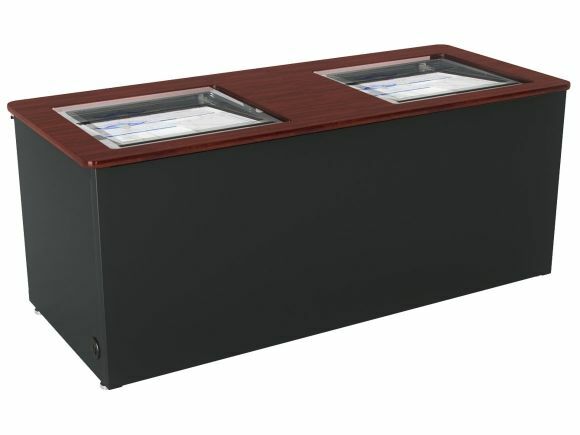 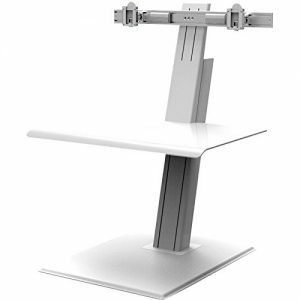 The innovative design of the VersaDesk Downview Computer Desk protects computer equipment, maximizes writing space, provides an unobstructed view, and remains ergonomic and comfortable. 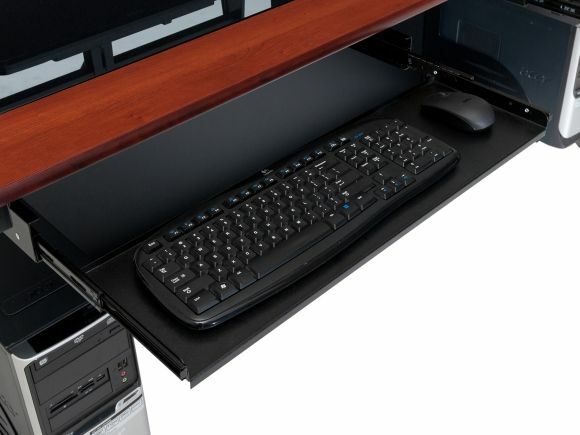 Did you ever think you could expect so much from a desk? 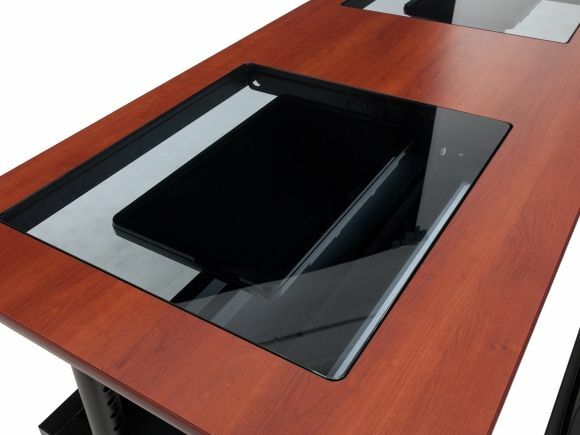 Constructed of high-quality steel, the VersaDesk Downview Computer Desk supports a laminated wood surface inlaid with an anti-glare, tempered glass panel.  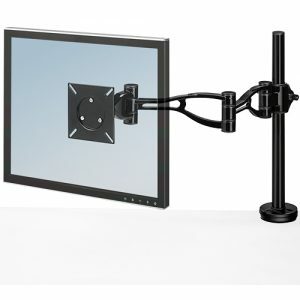 Flat screen computer monitors of up to 24″ can be mounted below the glass surface, allowing users to see them clearly and easily, but also maximizing space on the desktop. 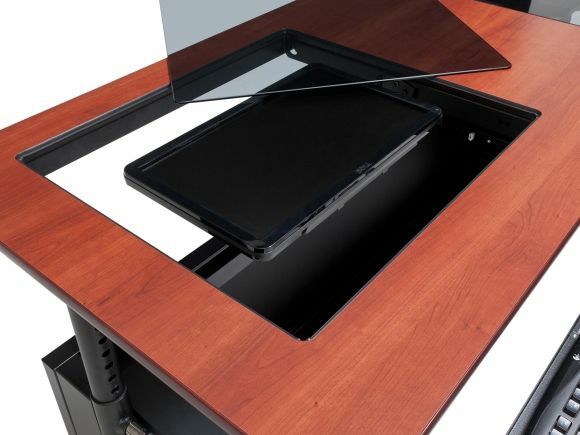 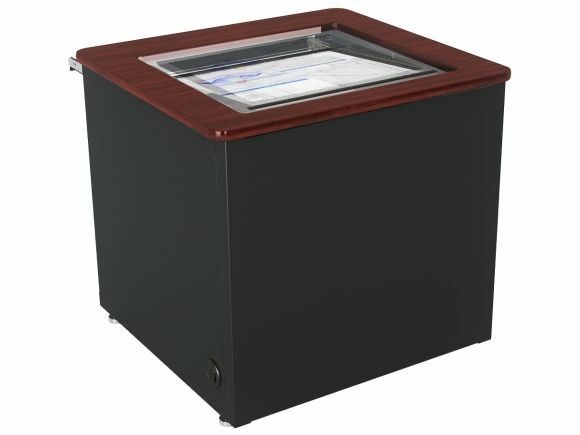 An Enclosed CPU Holder, modesty panel, and cable management system hides cables and wires out of view and prevents trip hazards. 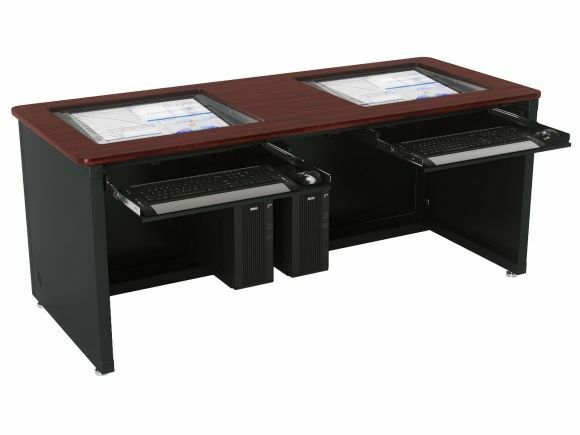 This fixed-height table is adjustable from 29″ to 31″ upon assembly and comes in both single user and dual user sizes, all available in eight attractive color combinations.